Please Note: We are only able to deliver this package deal to local postcodes. You are however able to purchase this deal in our Southampton store! The Provence is the ultimate portable Calor Gas heater. It has a living flame effect. Like other gas heaters, the Provence has controllable heat settings giving a maximum heat output of 3kW. It takes its design from the traditional heating stove. It is constructed from cast alloy and painted black giving an appearance that is in keeping with the traditional country cottage or home. The Provence is the ideal gas heater for a conservatory or large kitchen. It can be used in a lounge and makes a good Inglenook stove. Even when it is not turned on, the Provence makes a great focal point to the room. 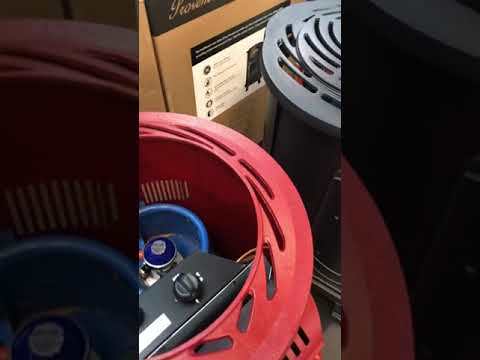 The wheels on this portable gas heater make the Provence a versatile mobile heater, as it can be moved from room to room it allows you to use the same heater in several locations where ever you feel the cold. 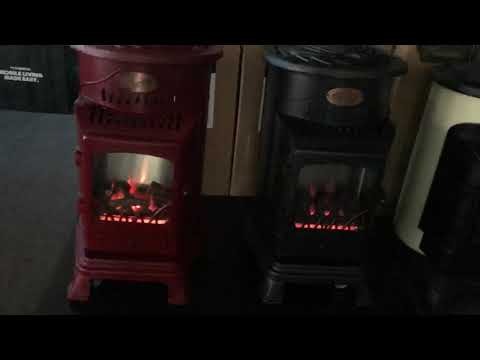 The Provence living flame portable gas heater provides instant heat that can be used in every room without the hassle of needing a chimney or power sockets. The Provence flame effect is provided by the ceramic coals that are set behind a glass window. The gas heater has three heat settings that vary the size of the living flame. On the highest setting the flames give the appearance of the lively young coal fire, while on the lowest setting the gas heater appears like mature glowing embers. The Provence living flame effect portable gas heater has two main features, firstly the pilot light analises the carbon dioxide level in the room and automatically turns the gas heater off before it can reach a dangerous level. Secondly this portable gas heater will turn its self off if the pilot light is blown out. The Provence living flame effect portable gas heater is designed to operate with the Calor Gas 15kG cylinder making it economic to use.